3rd season for the Classroom Webinar Review Program for the Feb 2018 PT-OT Licensure Exam! 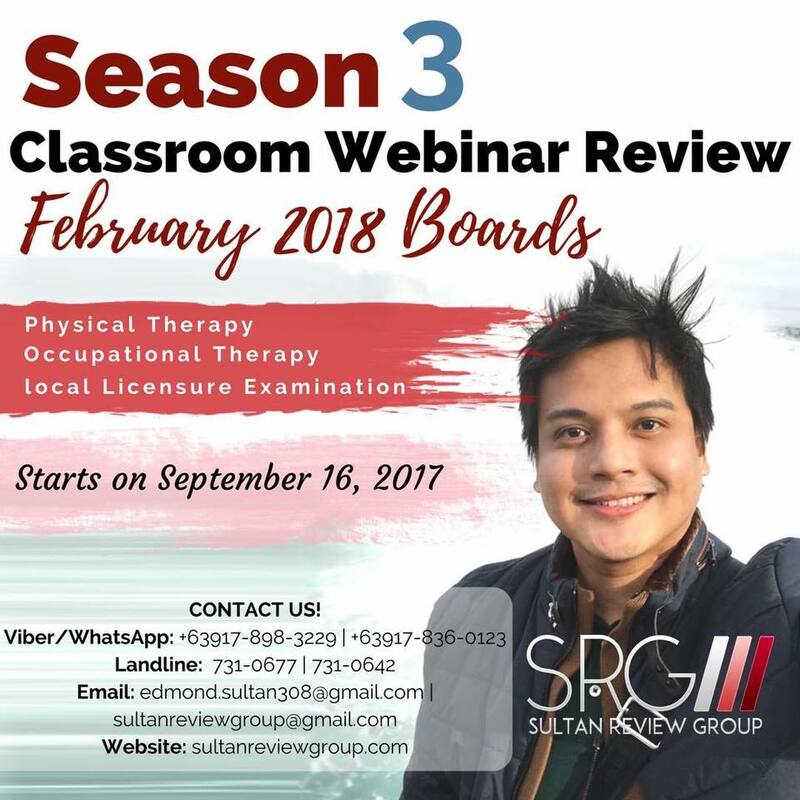 SRG opens its 3rd season for the Classroom Webinar Review Program for the Feb 2018 PT-OT Licensure Exam! The unparalleled online review program that has bagged not just 1 but 3 TOPNOTCHERS (No. 2 in OT and No. 7 in PT last Feb 2017 and No. 6 in PT just this recent Aug 2017)! Proving that SRG’s classroom webinar review not only breaks through the boundaries of classroom learning but also through the Top PT-OT charts! Perfect especially if you are living far from the Metro, in another country, working, in med school or staying away from traffic but still want to achieve your coveted OTRP and PTRP license! Practical, efficient, convenient, results-oriented! Previous Entry:1 day left ’til the seventh season of the Worldwide Comprehensive Review for NPTE, NPTAE and PCE!